PokerStars may have only been fully operational for a few days within the month of March in New Jersey, but the brand still impacted the online gambling revenues of the state in a major way. Online poker revenues were increased due to PokerStars offering their services, with the brand earning close to $600,000 within less than two weeks of being in operation. With the help of PokerStars, New Jersey actually set a new record for the month of March in regards to online gambling earnings. The regulators of the state announced this week that March earned $2,461,064 which is just over 10% from March of last year, in online poker earnings. The overall gambling earnings of the state hit $15,507,459 which is 17.8% more than the total gaming revenues earned the year previous. When taking a look at the first three months of gaming in the state, New Jersey has earned just over $44 million with online poker peer-to-peer gaming reaching over $6.6 million. Both are an increase when comparing year-over-year. 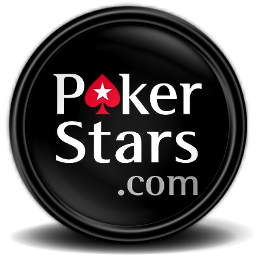 PokerStars soft launched in the state on the 16th of March and then launched fully on the 21st. PokerStars works with Resorts Casino to offer online poker gaming, with online gaming totals for Resorts Digital seeing a nice increase in March, coming in at $1,878,097 which is much higher than the $154,071 that was earned in March of last year. PokerStars was very successful after launching in the state, taking over as the most played site within one week when comparing cash game numbers with other operators including the WSOP and Party Poker. It will be interesting to watch as PokerStars continues to offer online poker gaming and how they impact the overall revenues in regards to New Jersey online poker as well as overall gaming revenues.